As young animals grow up, they often play as a means of avoiding boredom and engaging their motor centers. Many types of playing mimics necessary life skills like hunting, fighting, or running. With a steady source of food and a changing way of life, the methods of human play changed to keep up with the growing intelligence of the population. If you send a group of children to play and come back in an hour, you’ll discover that they have created a game with specific rules and objectives. A game is made up by a set of objectives as well as a set of limitations to make the objective difficult. Games that specifically utilize the motor center and our innate competitive drive are usually called sports. The rules of any game are meant to make an objective more difficult but still possible. For example, the objective of football (also called soccer) is to put a ball into the goal of the opposing team. While opponents standing in your way may make this task difficult, the extra rule forbidding the use of your hands makes it more difficult for everyone. The formation of sports and the implementation of rules to make tasks more difficult is a trait shared by many cultures. For example, one of the most popular sports of the Incan and Aztec people was called Tlachtli. The goal of the game was to put a ball through a vertical hoop placed high on a wall. However, you were only allowed to touch the ball with your hips. Sports, like most aspects of society, are not immune to adaptation and diversification. Let’s look at the evolution of American football to illustrate. Football, the sport where you can only use your feet, was adapted by a few to allow for the use of hands. New rules were implemented to keep the game difficult such as the inability to pass the ball forward. To stop someone with the ball, the defender had to tackle them and the ball was placed behind to be picked up by the team on offense. Four tries were given before the offense had to kick the ball forward to give it to the defense. This new sport was called rugby. 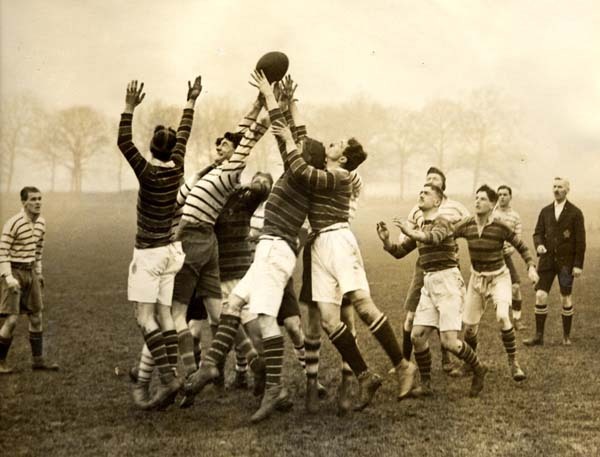 Eventually rugby diversified to allow a single member of the offense to pass the ball forward and a new strategy formed to protect that player so passes could be made. This new style of rugby started in America and was called American football, for some reason. As the sport grew in popularity, the sport adapted even further with bigger hits, brighter uniforms, and more time outs for the sake of entertainment. Football has become one of the most popular sports in a country making huge amounts of money from the fans and commercials that can be placed in the many timeouts. Sports, like organisms, adapt to the environment they find themselves in. American football rose in popularity during a surge of new technology giving the majority of the population access to televisions. Without the power of advertising, who’s to say how popular American football would have become? Basketball, a sport requiring the constant bouncing of a ball to move, came from concrete covered cities. 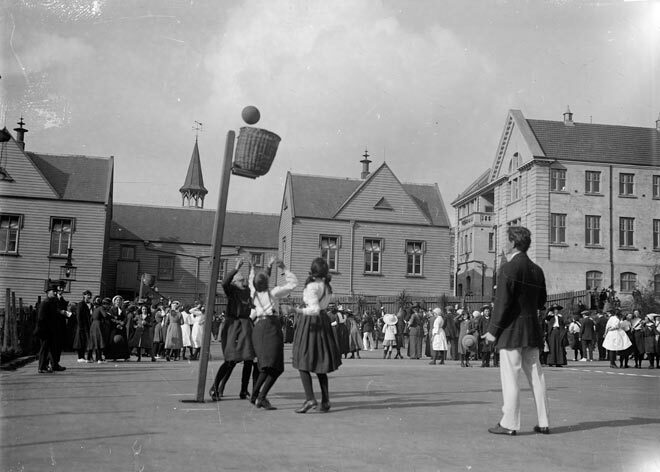 While most sports are played on grass, an uncommon surface in inner cities, basketball utilized the surroundings and gained popularity in similar environments. Sports are fun to play and watch because of the neural paths that form and are stimulated. Playing a sport requires constant access to the motor center as well as mental plane access for strategy and positioning. Watching a sport is fun because of all the moving parts and changing variables. As we watch a sport, our brains anticipate what might happen next which will release pleasure if we’re right or wrong simply because it’s new information. 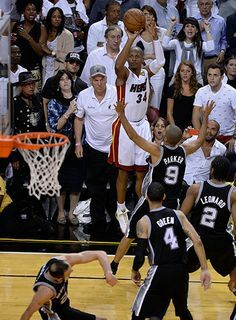 When Ray Allen released the ball for a game-tying shot in the NBA Finals, everyone in the audience instantly built two universes: one where he makes it and one where he misses. Watching the ball go in immediately cements one of those universes and completes the cluster. Every fan creates expectations for their team which is why it’s enjoyable to see them win and devastating to see them lose. Sports give us a means to access our inherent competition and also give us a team to rally behind. We enjoy being part of a team because it allows us to synapse ourselves to the team and gives us a sense of belonging. This is no different than finding a sense of belonging with a similar religious group or those that share your skin color. The word “fans” came from the word “fanatic,” after all. 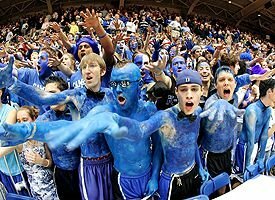 We love our own teams and rally to defeat an opposing team because it’s fun to activate those neural paths. However, it is important to remember the intention of sports: to entertain. When a sport causes grave physical trauma to its athletes and inspires hatred in its fans, the intention must be reexamined. As our culture rapidly diversifies, new types of sports have emerged requiring a specific skillset or knowledge. Some sports are played on horseback, some use cards, some are played on a computer, and some simply compare the measurements of competitors. Because sports are such a thriving entertainment industry, the star athletes are seen with great respect and power. Remember to always look at the intention of sports and your favorite athletes. Games are meant to be fun for the players and audience, don’t let them control your mood or your life.